FreeCharge is one of the most popular digital payment platform in India. Need to pay the electricity bill? or want a mobile or DTH recharge? FreeCharge is the solution you need to have. Just sign in to your account and get all the bill payment options under a single platform. Recharge your mobile, get DTH recharge, pay bills sitting at your home. Just enter the details and pay the money online on FreeCharge website and there you go. These are the services available at FreeCharge: mobile recharge, DTH recharge, DataCard topup, Electricity bill payment, Landline bill payment, Broadband bill submission, Gas, Water, Metro and Google Play Recharge. Apart from that, you can also use FreeCharge to make payment at partner merchant sites to receive extra cashback from FreeCharge in your wallet. Apart from that, get extra discounts and cashbacks on specific credit and debit card payments on FreeCharge. You can also use FreeCharge mobile app for Android and iOS platform and get your recharge down in few swipes. Plus apply various FreeCharge coupons to get extra discounts and cashback offers on every recharge. Specially FreeCharge new user offers are usefull for new users to get huge cashbacks. And FreeCharge offers for old users are valid for all the FreeCharge users on specific recharges and bill payments. Use FreeCharge Freefund code for more benefits. FreeCharge recharge offer codes are valid on online recharges. Almost all the telecom operators are available for recharge including Bharti Airtel, Reliance Jio, Vodafone, Idea, BSNL and many more. You can also get DTH recharge done for your Airtel Digital Tv, Videocon D2H, Dish Tv, Reliance Digital Tv, Sun Direct, Tata Sky DTH recharge via FreeCharge official website and mobile app as well. In case of DataCard recharge, you can use various FreeCharge coupons and promo codes for Airtel, Vodafone, BSNL, Idea, JioFi, Tata Photon Plus datacard recharges and receive additional cashback into your FreeCharge wallet. When it comes to paying electricity bills online, FreeCharge solves the problem for you and you don't need to get into the long queue to pay the bills. Just head over to the FreeCharge app and select your Electricity Provider and enter your service no and pay the money online. You're done. Your bills have been paid from your mobile. Currently these Electricity Providers are available at FreeCharge to accept online payments: Eastern Power Distribution Company of Andhra Pradesh Limited (APEPDCL), Ajmer Vidhyut Vitran Nigam Limited, BESCOM Bangalore, BEST Mumbai, BSES Rajdhani Delhi NCR, BSES Yamuna Delhi NCR, Bharatpur Electricity Services Limited, Bikaner Electricity Services Limited, CESC Limited, CSEB Chattisgarh State Electricity Board, Daman and Diu Electricity Department, Dakshin Gujrat Vijj Company Limited, India Power Corporation (BodhGaya) Limited, Jamshedpur Utilities & Services (JUSCO), Jaipur Vidyut Vitran Nigam Limited (JVVNL), Jodhpur Vidyut Vitran Nigam Limited, Kanpur Electricity Supply Company Limited, Kota Electricity Distribution Limited, MP Madhya Kshetra Vidyut Vitaran - Bhopal, Maharashtra Power Distribution Limited (MSEDC), Madhya Gujrat Vijj Company Limited, Madhya Pradesh Paschim Kshetra Vidyut Vitaran Company Limited - Indore, Meghalaya State Electricity Corporation Limited, Noida Power Company Limited (NPCL), Paschim Gujrat Vijj Company Limited, Reliance Energy Mumbai, SNDL Nagpur, Tripura State Electricity Corporation (TSECL), Tata Power Mumbai, Tata Power Delhi Distribution Limited, Torrent Power and Uttar Gujrat Vij Company Limited. For Landline bill payments, available providers are ACT Broadband, Airtel Landline, BSNL Landline, MTNL Delhi, MTNL Mumbai, Reliance Communications and Tata Docomo Landline. Available broadband providers on FreeCharge are ACT Fibernet, Airtel, BSNL, Connect Broadband, MTNL Delhi and MTNL Mumbai. You can pay your Gas bills too on FreeCharge and use various FreeCharge coupons for Gas bill to reduce the price and avail cashback into your wallet. Available Gas providers are Adani Gas, Gujarat Gas Limited, Indraprasth Gas, Mahanagar Gas Limited and Siti Energy. Here at PriceKaato, we focus on delivering best working and verified FreeCharge Coupons for both new and old users. So that you can save maximum while paying bills or getting recharge online. 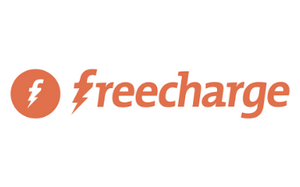 Various online recharge offers are added time to time in this FreeCharge Promo Codes listing. You can get all the FreeCharge offers under a single page at once. So, from now, every time you are going to recharge from FreeCharge, just visit this page before and we'll surely have exciting FreeCharge Offers or Coupons to make your day.